This name uses Eastern Slavic naming customs; the patronymic is Vladimirovich and the family name is Rodzianko. Mikhail Vladimirovich Rodzianko (Russian: Михаи́л Влади́мирович Родзя́нко; Ukrainian: Михайло Володимирович Родзянко; 21 February 1859, Yekaterinoslav Governorate – 24 January 1924, Beodra, Kingdom of Serbs, Croats and Slovenes) was a Russian statesman of Ukrainian origin. Known for his colorful language and conservative politics, he was the State Councillor and chamberlain of the Imperial family, Chairman of the State Duma and one of the leaders of the February Revolution of 1917, during which headed the Provisional Committee of the State Duma. He was a key figure in the events that led to the abdication of Nicholas II of Russia on 15 March 1917. Rodzianko was born in the village of Popasne. He came from an old and rich noble family of Ukrainian origin and was educated at the Corps des Pages. From 1877 until 1882 he served in the Her Majesty's Regiment of the Cavalry of the Guard. In 1884 Rodzianko married Anna Nikolaevna Galitzine (1859-1929); the couple had three children. In 1885 he retired and lived on his estate in the Novgorod Oblast. He was appointed as Marshall of the Gentry. Rozianko served as Kammerherr in 1899. In 1900 he was elected in Yekaterinoslav Governorate. From 1903 until 1905 he was editor of a newspaper, called "Herald Katerynoslav zemstvos." In 1906 he was elected for the Zemstvo as Provincial Zemstvo Executive. In 1905 Rodzianko had been one of the founders and leaders of the Octobrist party. He became a deputy in the Third Duma (1907), vice-president in 1909 and was elected Chairman on 22 March 1911 after the resignation of Aleksandr Guchkov, who was hated by the court as a “Young Turk.” He then continued as the Chairman of the Fourth Duma from 15 November 1912 until its dissolution on 6 October 1917 (before the October Revolution). Rodzianko thought after the meeting between Grigory Rasputin and tsar Nicholas II: "It marked the beginning of the decay of the Russian society and the loss of prestige of the throne and of the tsar himself." Rodzianko gathered information on Rasputin and handed it over to Tsar. Rodzianko, who requested Rasputin to leave the capital, and Theofan of Poltava held Rasputin for a Khlyst. "The emperor took no account of the report which nevertheless proved undoubtedly that Rasputin was not the holy man he claimed to be." On 21 February 1913 Rodzianko dismissed Rasputin from the Cathedral of Our Lady of Kazan shortly before the celebration of 300 years rule of the Romanov's over Russia. He had established himself in front of the seats which Rodzianko, after considerable difficulty, had secured for the Duma. According to Orlando Figes "... the members were to be seated at the back, far behind the places reserved for the state councilors and senators. This, he complained to the master of ceremonies, was not following the dignity' of the parliament. Rasputin considered Rodzianko a personal enemy and denounced him as a "fat cat". "Rodzianko told the Tsar in March 1913: 'A war will be joyfully welcomed and it will raise the government's prestige.'" In April 1915 Rodzyanko traveled to the Russian troops, which occupied Austrian Galicia. On 11 August 1915, the day the Tsar announced he would take the Supreme Command from Grand Duke Nicholas, According to M. Nelipa, Rodzianko suffered a heart attack. Somehow Rodzianko participated in the creation of the Progressive Bloc. For Rodzianko Alexei Khvostov had broken his neck in combating the Rasputin clique and Prime Minister Boris Stürmer would become a dictator with full powers early 1916. In Summer 1916 there was another crisis in the government: Alexander Protopopov was proposed by Rodzianko to the Tsar and Protopopov hinted at Rodzianko as Premier and Foreign Minister. But after Protopopov had become Minister of the Interior and had expressed admiration for the ruling family, the Duma attacked him fiercely and called at once for his dismissal. Rodzianko demanded the exile of the Empress in the Crimea until the end of the war. The Tsarina demanded that Rodzianko's Court rank should be taken from him. She referred to him in her letters as a scoundrel. Zinaida Yusupova, Alexandra's sister Elisabeth, Grand Duchess Victoria and the Tsar's mother tried to influence the Emperor or his stubborn wife  to remove Rasputin, but without success. Rodzianko told Nicholas the truth, after being urged by the Tsar's mother and sisters. To him it was clear Alexandra should not be allowed to interfere in state affairs until the end of the war; she treated her husband as if he were a little boy, quite incapable of taking care of himself. On 7 January 1917 Rodzianko told the Tsar in regard of his government: "All the best men have been removed or have retired. There remain those of ill repute." Mikhail Rodzianko was one of the key politicians during the Russian February Revolution. On 26 February Rodzianko urged the Tsar to promulgate reforms in a telegram. "Serious situation in the capital, where anarchy reigns. General discontent was increasing. In the streets, uninterrupted firing, and one part of the troops is firing on the other. It is necessary to nominate without delay a person possessing the confidence of the people and who would form a new Government. To wait is impossible." Nicholas refused to reply, instead he ordered the dissolution of the Duma and a military crackdown and in a conversation with Count Vladimir Freedericksz referred to Rodzianko, not very respectfully, as "fat-bellied Rodzianko". On 27 February he retired as Captain of the Guards. On 28 February he presided over the Provisional Committee of the State Duma and advised the local governments to stay calm. On 1 March the power came entirely in the hands of the Petrograd Soviet. On that day Rodzianko assured general Mikhail Alekseyev that the Duma leaders, rather than the Soviet ones, would form the new government in Petrograd. Rodzianko discussed the situation with General Nikolai Ruzsky, who had the Imperial train stopped in Pskov. Nicholas II had no other choice than to follow Rodzianko's advice. On 2 March 1917 a Russian Provisional Government was formed, which included members of the Social Revolutionary Party. Rodzianko appointed General Lavr Kornilov as head over the troops in Petrograd. In the evening Rodzianko led abdication talks with Tsar, to satisfy the crowds. Early in the morning of 2 March (Old Style) or 15 March (New Style) the Tsar stepped down in favor of his son Alexei, (but announced in public the next day). As the tsesarevich suffered from an incurable disease, hemophilia B, his life expectations were short. Then Grand Duke Michael Alexandrovich of Russia came into the picture as the new heir to the throne, but was regarded as unacceptable. With Prince Lvov, Alexander Kerensky and Pavel Miliukov Rodzianko visited Grand Duke Michael. The Grand Duke declined the crown after a long talk with Rodzianko. Rodzianko remained prime minister just for a few days. He succeeded in publishing an order for the immediate return of the soldiers to their barracks and subordinate to their officers. 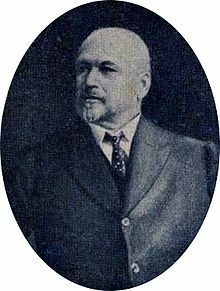 To them Rodzianko was unacceptable as prime minister and Prince Georgi Lvov, a member of the Constitutional Democratic Party, became his successor. Together with Aleksandr Guchkov he founded a liberal republican party in the Summer of 1917. After the October Revolution or shortly after the seizure of power by Lenin, he left Petrograd and moved to Rostov-on-Don and Crimea. Rodzianko supported Anton Denikin and Pyotr Wrangel but when it became clear the White Army had lost, he emigrated to Serbia in 1920. There he wrote his memoirs The Reign of Rasputin: an Empire's Collapse. According to Bernard Pares he died in great poverty. His remains were moved to the new cemetery in Belgrade. "M. Rodzianko was an exceptionally tall and powerful man". When Rodzianko met Tsarevich Alexei for the first time, he introduced himself as "the fattest man in Russia". Rodzianko was a pious man, an expert on hymns, and had a sonorous voice, bass. Until his death Rodzianko was attacked by Russian Monarchists, who held him responsible for the overthrow of the tsarist regime. His nephew was Alexander Rodzyanko who played an important role in the White Army during the Russian Civil War. Rodzianko was friendly with George Buchanan, the British Ambassador in Saint Petersburg. ^ Leon Trotsky (1932) The History of the Russian Revolution. Volume One: The Overthrow of Tzarism. ^ Bernard Pares' introduction to Rodzianko (1927), at p.v. ^ G. King (1994) The Last Empress. The Life & Times of Alexandra Feodorovna, Tsarina of Russia, p. 188; B. Moynahan (1997) Rasputin. The saint who sinned, p. 168; A. Spiridovich (1935) Raspoutine (1863-1916), p. 286; J.T. Fuhrmann (2013) Rasputin, the untold story, p. 92. ^ E. Radzinsky (2000) Rasputin: The Last Word, p. 230. ^ O. Figes (1996) A People's Tragedy: The Russian Revolution, 1891–1924, p. 9. ^ O. Figes (1996) A People's Tragedy: The Russian Revolution, 1891–1924, p. 248. ^ Margarita Nelipa (2010) The Murder of Grigorii Rasputin. A Conspiracy That Brought Down the Russian Empire, p. 95. Gilbert's Books. ISBN 978-0-9865310-1-9. ^ B. Pares (1939), "The Fall of the Russian Monarchy", p. 381, 395. ^ Frank Alfred Golder (2008) Documents of Russian History 1914–1917. Read Books. ISBN 1443730297. ^ Through the Russian Revolution : Notes of an Eye -Witness, from 12th March 30th May. ^ O. Figes (1996) A People's Tragedy: The Russian Revolution, 1891–1924, p. 341-342, 345. ^ Bernard Pares' introduction to Rodzianko (1927), at p.viii. ^ Explanatory footnote at Rodzianko (1927), p. 51, supplied by the Russian-to-English translator Catherine Zvegintzoff. Figes, O. (1996) A People's Tragedy: the Russian Revolution, 1891–1924. Rodzianko, M. V. (1927) The Reign of Rasputin: an empire's collapse: Memoirs of M. V. Rodzianko, A. M. Philpot, (London). This page was last edited on 15 April 2019, at 18:41 (UTC).